Window cleaners constitute various homemade or synthetic chemical solvents that are used to clean glass and hard surfaced windows and curtain wall panels. Cleaning fluids used for commercial buildings are generally more concentrated than those used for domestic (home window) cleaning purposes. Window Cleaner Poisoning is the accidental or intentional intake of window cleaning solutions. What is Window Cleaner Poisoning? Window Cleaner Poisoning may be also referred to as Window Cleaner Toxicity. What are the Causes of Window Cleaner Poisoning? What are the Signs and Symptoms of Window Cleaner Poisoning? The signs and symptoms of Window Cleaner Poisoning can vary from one individual to another. It may be mild in some and severe in others. Several systems of the body may be affected. The poisoning may occur due to swallowing of the compound, or breathing-in of window cleaner fumes and vapors. How is First Aid administered for Window Cleaner Poisoning? Who should administer First Aid for Window Cleaner Poisoning? First aid for Window Cleaner Poisoning is administered by healthcare professionals. What is the Prognosis of Window Cleaner Poisoning? 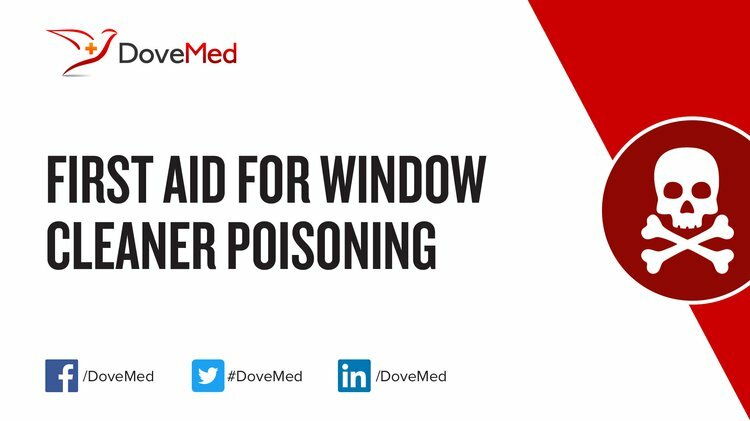 How can Window Cleaner Poisoning be Prevented? Erler, C., & Novak, J. (2010). Bisphenol A exposure: human risk and health policy. Journal of pediatric nursing, 25(5), 400-407. Bédard, A., Varraso, R., Sanchez, M., Clavel-Chapelon, F., Zock, J. P., Kauffmann, F., & Le Moual, N. (2014). Cleaning sprays, household help and asthma among elderly women. Respiratory medicine, 108(1), 171-180. Siracusa, A., Blay, F. D., Folletti, I., Moscato, G., Olivieri, M., Quirce, S., ... & Zock, J. P. (2013). Asthma and exposure to cleaning products–a European Academy of Allergy and Clinical Immunology task force consensus statement. Allergy, 68(12), 1532-1545. Cimino, S., Lisi, L., & Tortorelli, M. (2016). Low temperature SCR on supported MnOx catalysts for marine exhaust gas cleaning: Effect of KCl poisoning. Chemical Engineering Journal, 283, 223-230. Vilke, G. M., Douglas, D. J., Shipp, H., Stepanski, B., Smith, A., Ray, L. U., & Castillo, E. M. (2011). Pediatric poisonings in children younger than five years responded to by paramedics. The Journal of emergency medicine, 41(3), 265-269. Jønsson, J. B., Charles, E., & Kalvig, P. (2013). Toxic mercury versus appropriate technology: Artisanal gold miners’ retort aversion. Resources Policy, 38(1), 60-67.